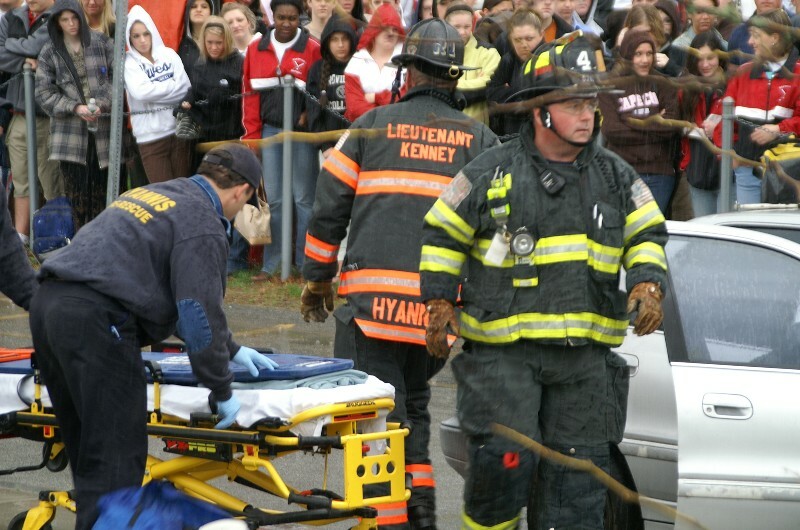 The scenario is something no one wants to think about. 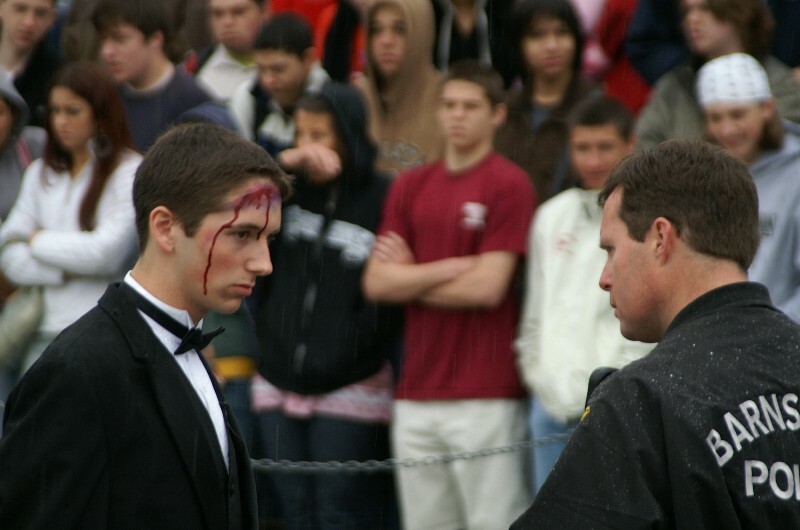 High school seniors, all dressed up for the prom, involved in a fatal automobile crash because of drunk driving. 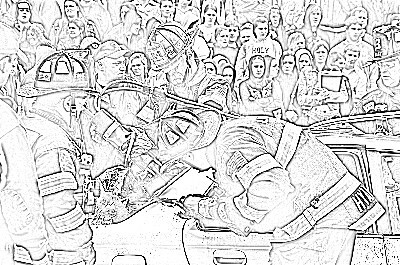 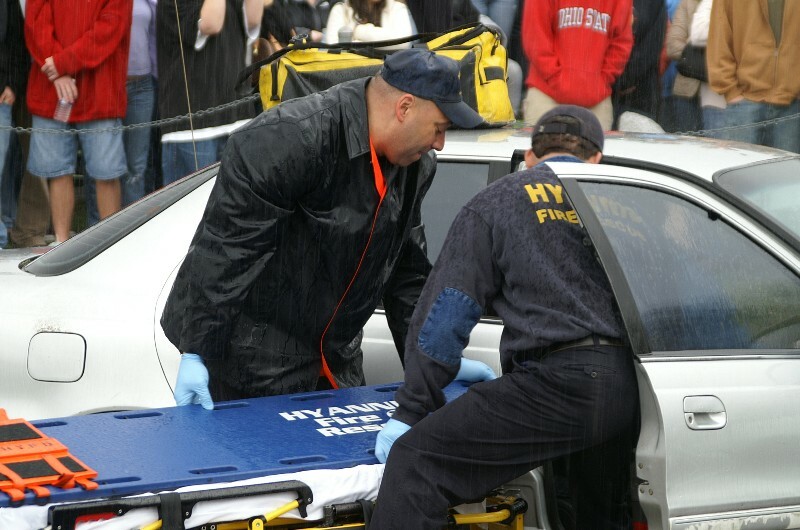 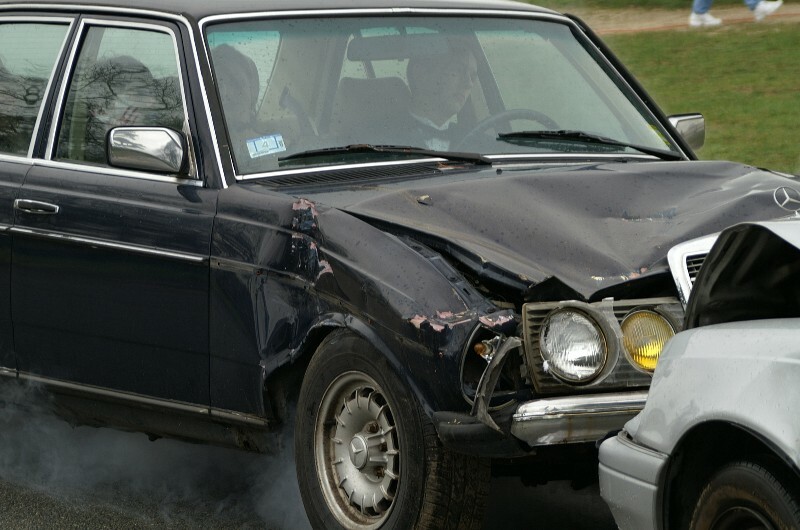 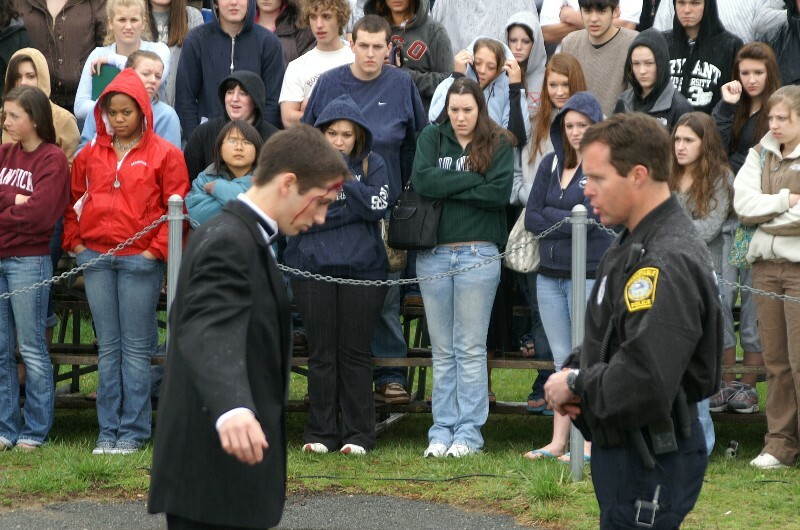 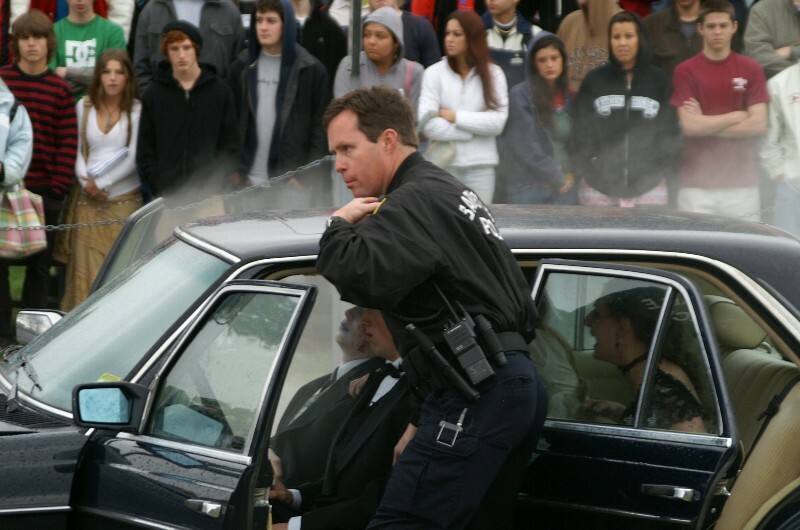 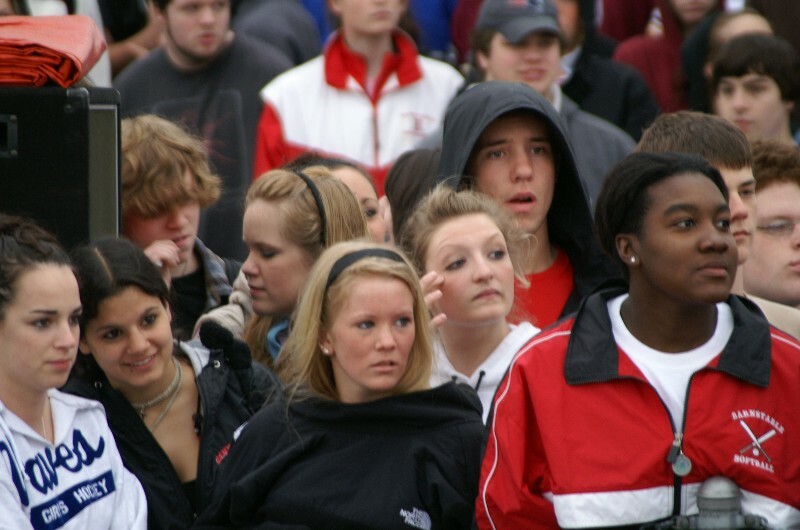 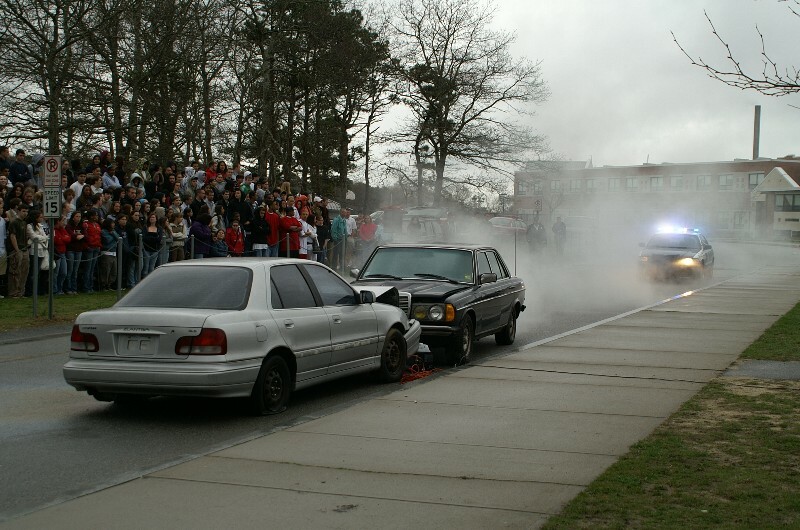 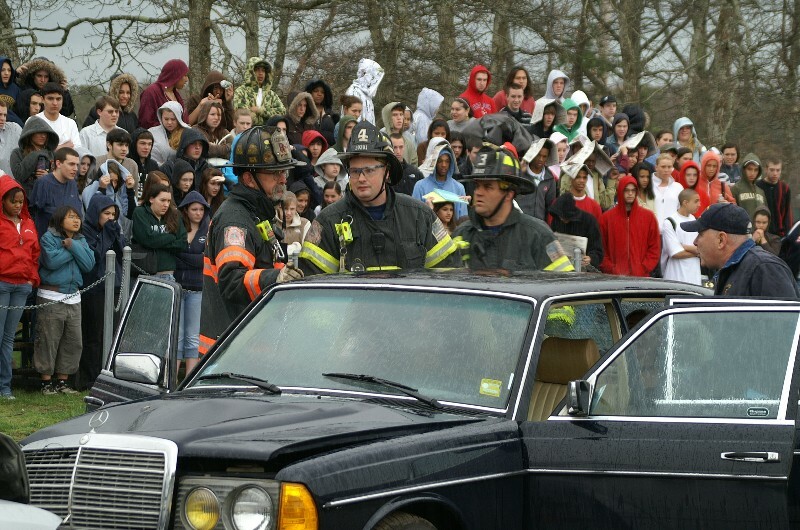 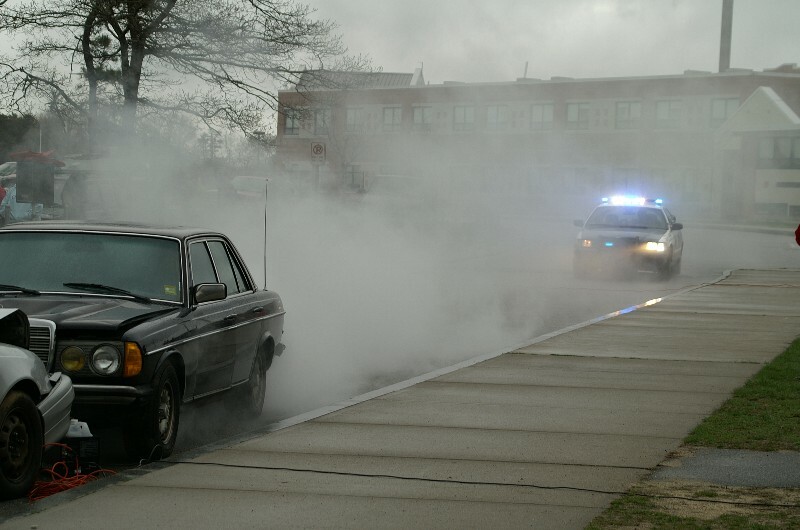 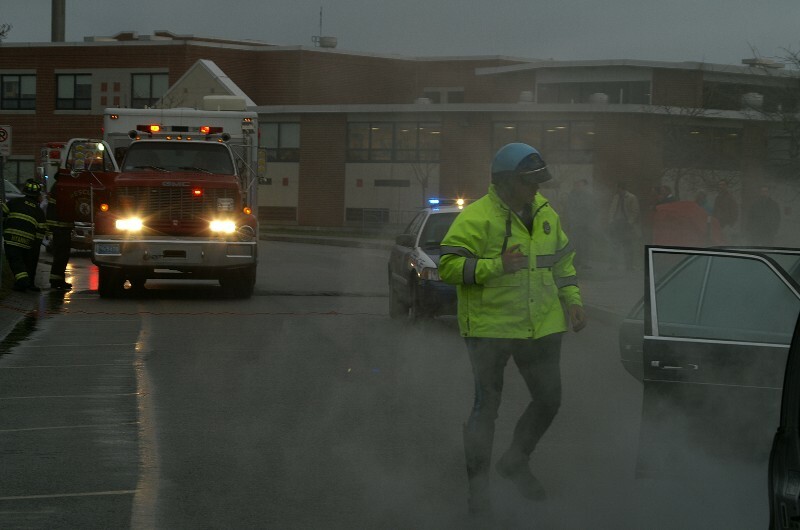 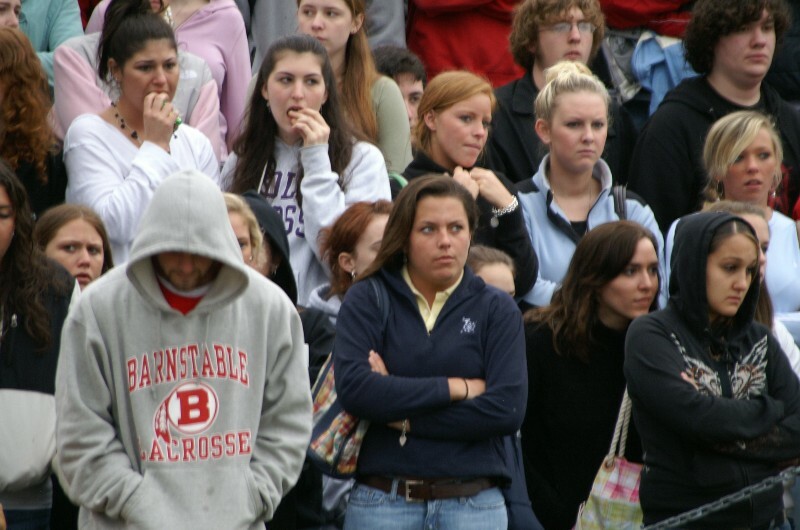 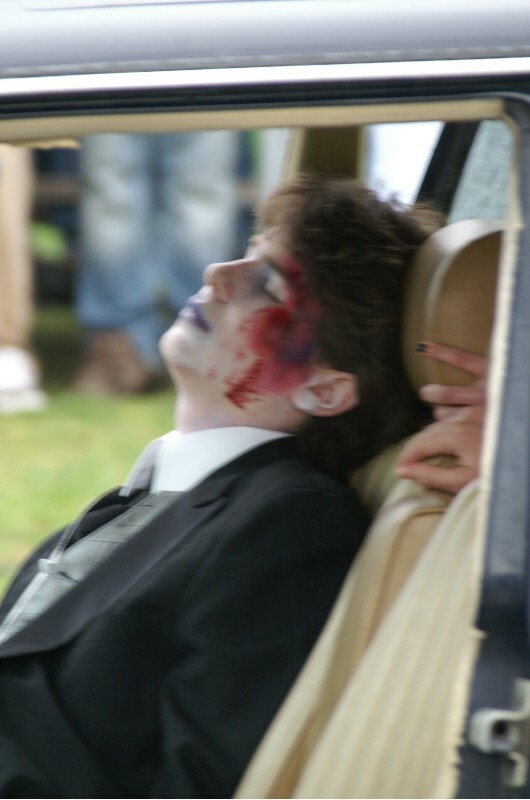 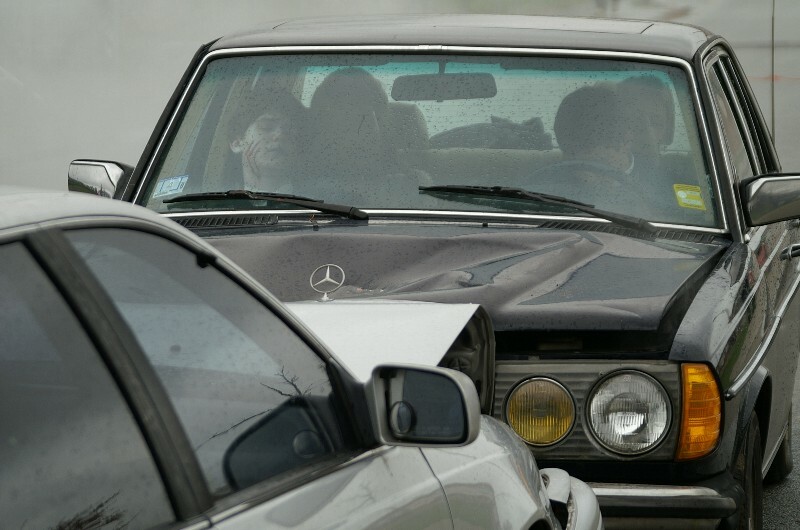 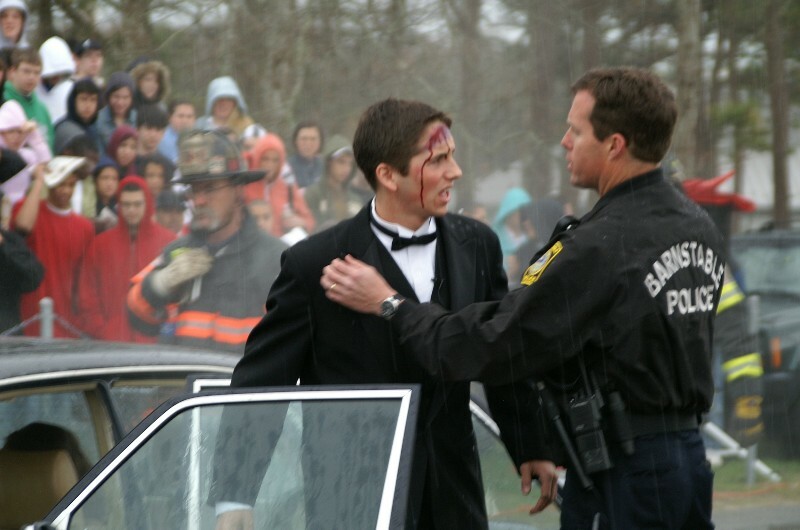 On may 2, 2007 a staged "docudrama" demonstrated the serious consequences of drinking and driving as hundreds of Barnstable High School students looked on during a brief, heavy rainfall. 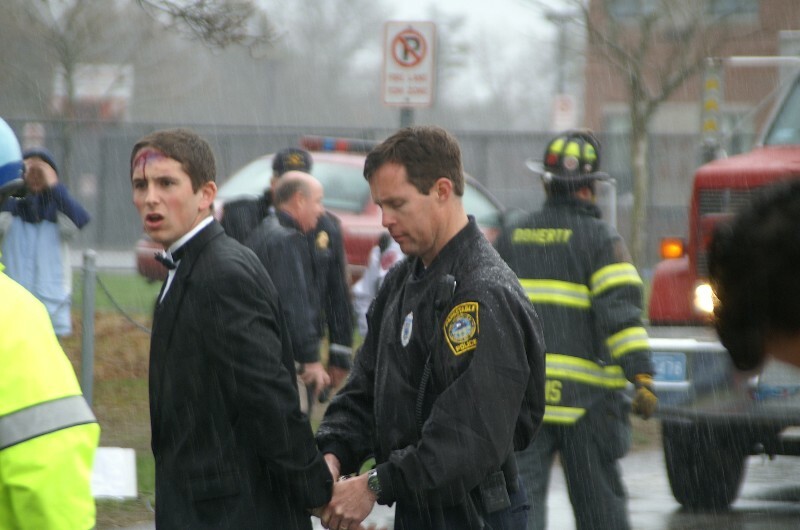 The BHS drama department prepared several "victims" of a 2 car head-on crash behind the high school. 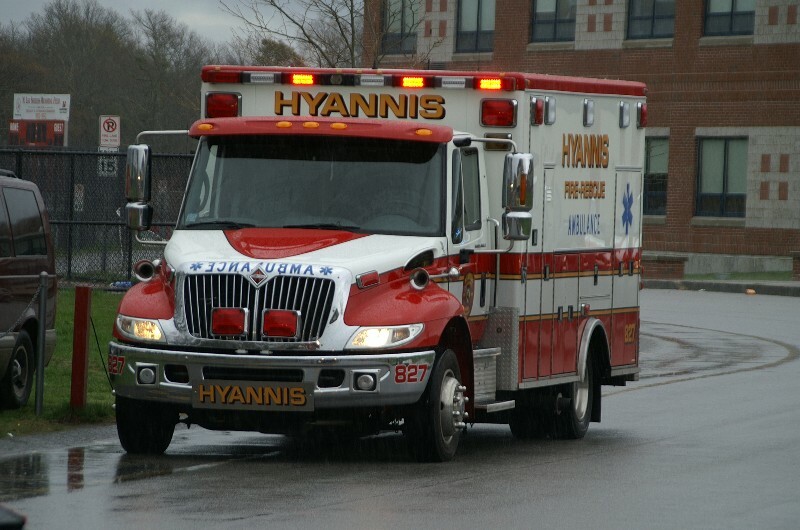 Barnstable Police Department and fire-rescue personnel from all five town fire departments, including Hyannis, Barnstable, COMM, Cotuit and West Barnstable responded to the incident. 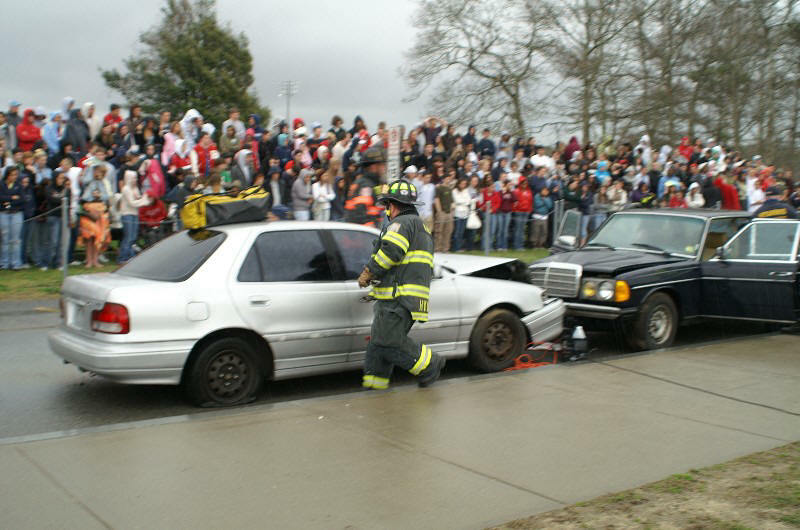 The "drunk driver" was evaluated and arrested by police officers, while emts and firefighters extricated victims with the Jaws. 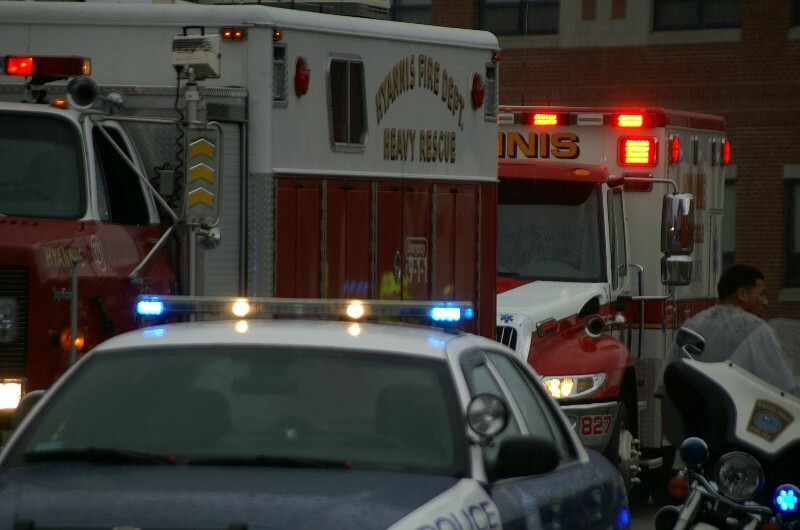 Crews transported the surviving victims, while local funeral home personnel took care of the fatality. 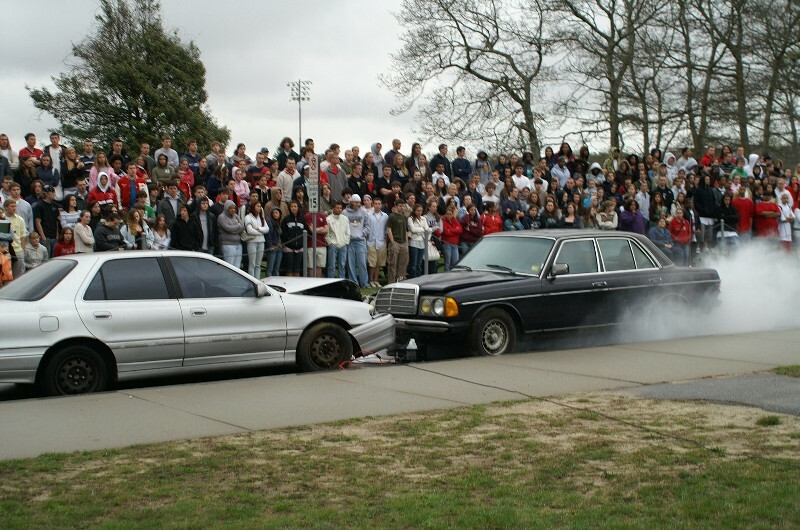 This demonstration is designed to educate students and hopefully prevent real accidents from happening. 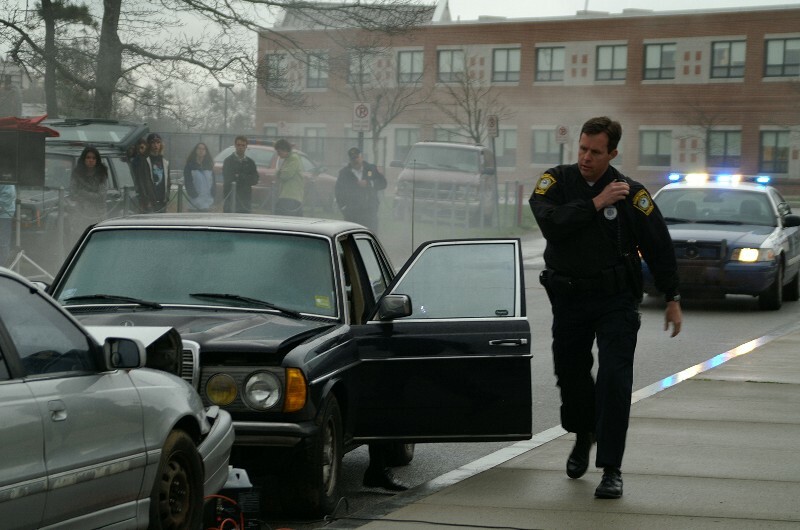 Similar docu-dramas are conducted by a number of departments across the Cape each year.